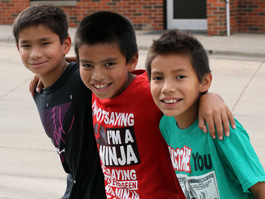 See how St. Joseph’s Indian School, on the plains of South Dakota, provides the gift of HOPE to Lakota boys and girls. 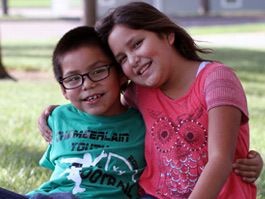 St. Joseph’s Indian School provides hope, education and healing for students like Chance. Help Chance now! 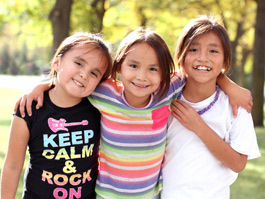 Developing the mind, body, heart and spirit of Lakota (Sioux) boys and girls since 1927. Help us continue. Our programs change lives. We offer all our services — schooling, housing, food and so much more — for FREE. 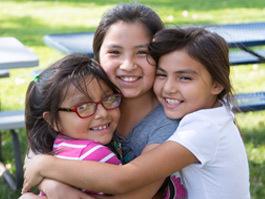 Tax-deductible donations keep our doors open and provide 200 Native American children safety, education and love. "The entire event was extremely enjoyable! When you attend one of St. Joseph's luncheons, you will learn about our current projects, and future plans. 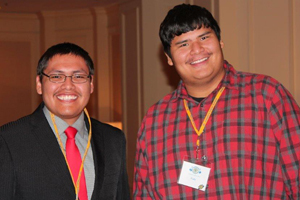 Our Native American students will share thoughts about their experiences at St. Joseph's, as well as life on the South Dakota Indian reservations. We'll also be available to answer your questions and listen to your suggestions. Please call us toll-free at 1-800-584-9200 or email us now for more information. Copyright 2019, St. Joseph's Indian School.